Critics say the process has been too rushed. Meanwhile, Congressional representatives on Monday introduced a bill to take ANWR leasing out of the 2017 tax bill. The Trump administration is on track to sell oil leases in the Arctic National Wildlife Refuge this year, cracking open an area that for decades has been closed to development, a top official with the Department of the Interior said on Monday. Joe Balash, the Interior Department’s assistant secretary for land and minerals management, said the department plans to complete its environmental review, reach a record of decision and open up the first round of bidding before the end of 2019. “Can all of that happen this year? 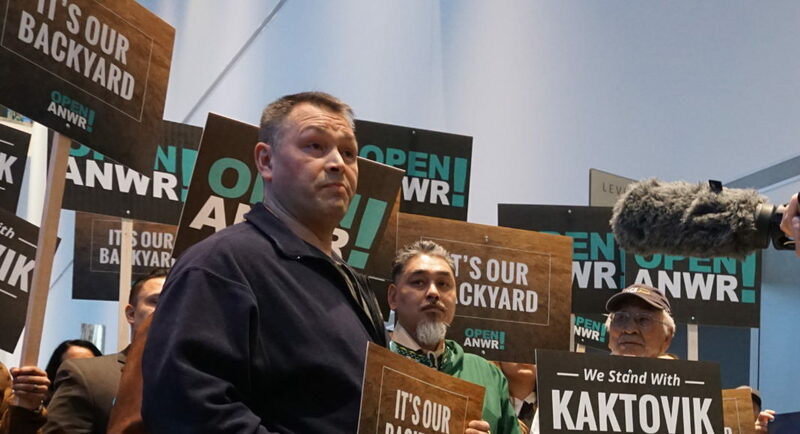 We think so,” he told reporters during a public meeting in Anchorage on proposed ANWR leasing. The meeting was the seventh of eight scheduled to collect public input on a draft environmental impact statement released in December by the Bureau of Land Management. 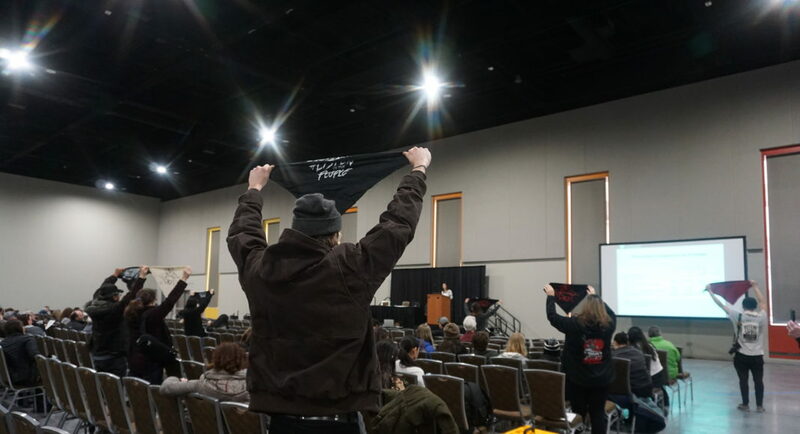 Balash said Interior officials will “take as long as is necessary to do a robust job and come out with a solid product” that is good for the nation and that minimizes impacts to the region’s Porcupine caribou herd, a point of contention in the drilling debate. “We think we’ll be done with the EIS sometime in the third quarter this year, but, you know, we thought we would be further along than we are now,” he said. Critics of the oil development plan argue that the Interior Department is rushing the process. Among the critics was Andy Moderow, Alaska director of the Alaska Wilderness League. 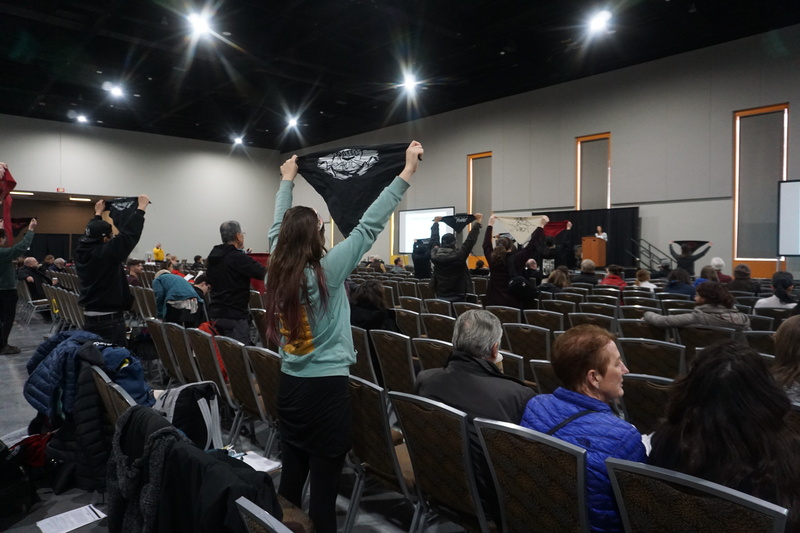 With the eight public meetings scheduled so quickly, giving some Alaskans only a week’s notice or even less than that, “the mad rush continues,” he said in his testimony at Monday’s meeting. 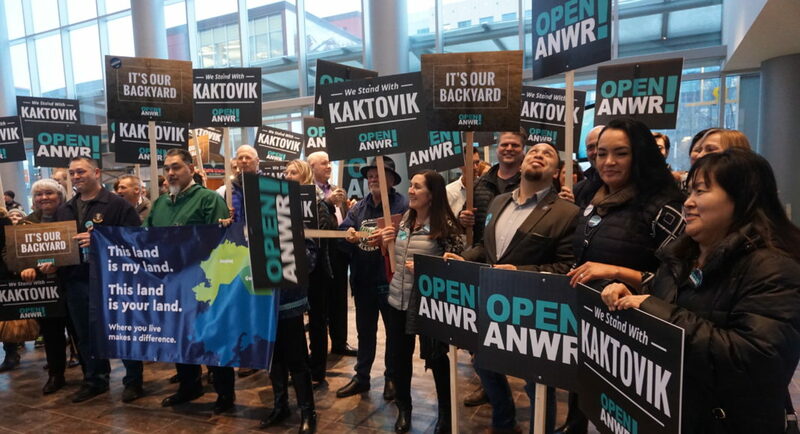 At least one element of ANWR oil development has been delayed. “We’ve reached a point in the calendar where a robust program isn’t possible,” Balash told reporters. The proposed seismic survey would send heavy vehicles known as “thumper trucks” across the tundra to shoot loud sound waves into the ground. Those sound waves are intended to help map out geologic structures and provide a better understanding of potential hydrocarbon resources. But the prospect of so many vehicles creating so much noise in the refuge coastal plain raises concerns about denning polar bears. As sea ice diminishes, more maternal polar bears have settled on the coastal plain to build the dens they use to give birth to and nurse their cubs. In his remarks to reporters on Monday, Balash said the delay in seismic testing should not affect the leasing schedule. “Seismic is not a magic map to know exactly where the oil is and how much is there, and is it in good rock,” he said. Some companies may be disappointed to lack seismic information, he said. “But it’s certainly not a regulatory requirement. You don’t have to have seismic to hold a lease sale. You don’t have to have seismic to hold a successful lease sale,” he said. That idea excited many of the people attending the Anchorage meeting. 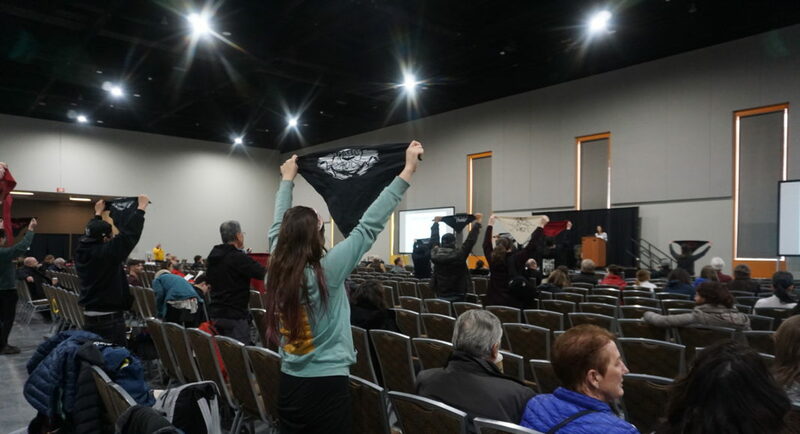 “Responsible oil and gas development in a small fraction of the coastal plain proposed for leasing will help ensure American energy security for decades and allow Alaska and our nation as a whole to realize the benefits that come from expanding energy production,” Marleanna Hall, executive director of the Resource Development Council for Alaska, said in her testimony. 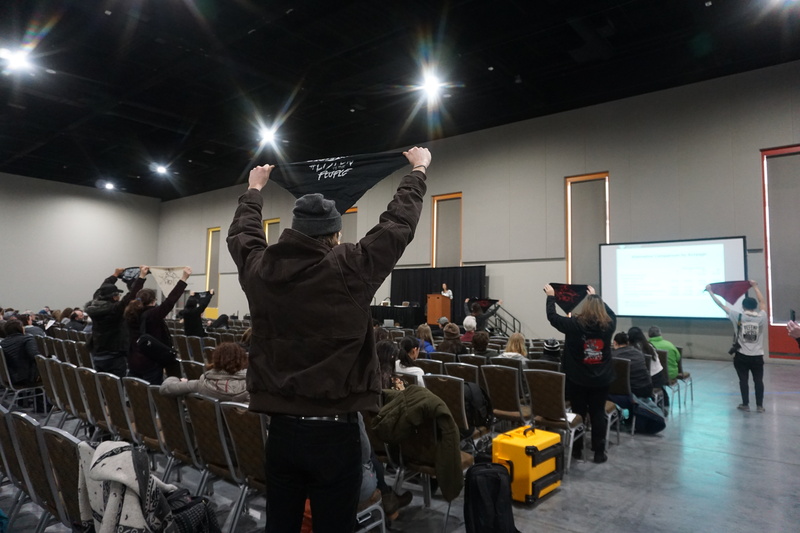 A group of sign-waving drilling supporters held a rally just outside the meeting room. 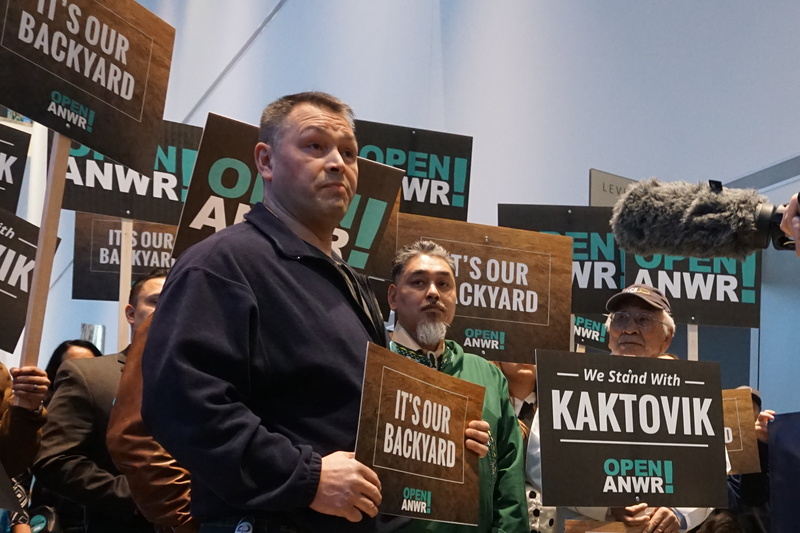 Several were from Kaktovik, the village closest to the proposed development site and a potential economic beneficiary of oil drilling there. One of the opponents was Sarah Siqiniq Maupin, an Inupiat and University of Alaska Fairbanks student from Utqiagvik. Meanwhile on Monday, three members so the U.S. House — Democrat Jared Huffman and Alan Lowenthal, both Democrats from California, and Republican Brian Fitzpatrick of Pennsylvania — introduced a bill that would amend the 2017 tax bill to strip the ANWR leasing provision from it. 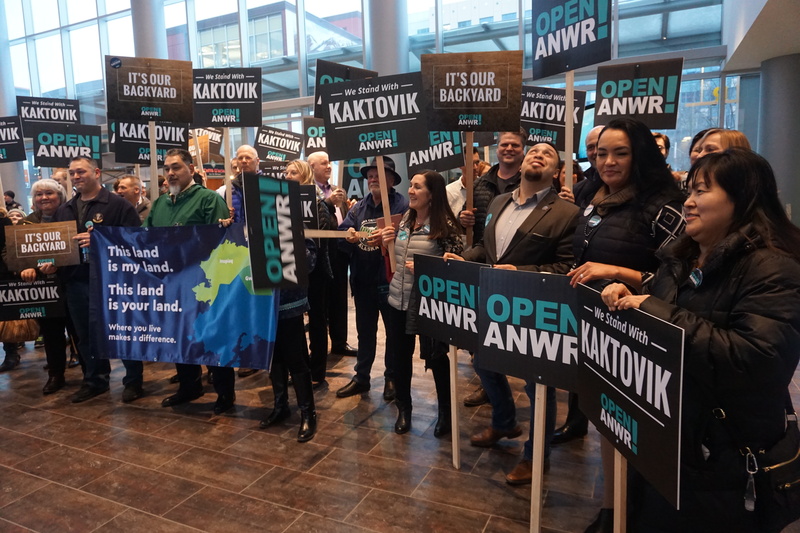 Fitzpatrick was one of seven Republican House members who, in a December letter to then-Interior Secretary Ryan Zinke, criticized the Trump administration’s move to lease ANWR as too hasty and the SAExploration seismic plan as environmentally risky.